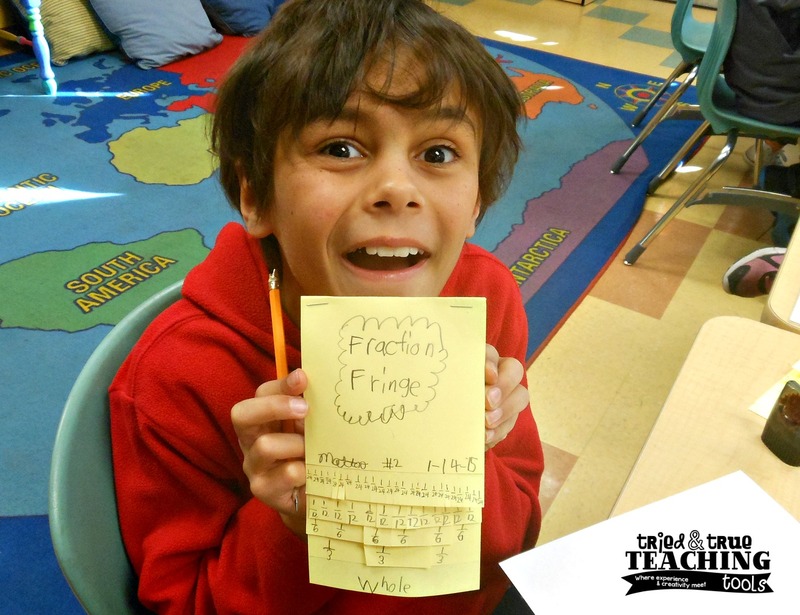 February's Loved That Lesson: Fraction Fringe! Linking up today with Meg, over at The Teacher Studio! 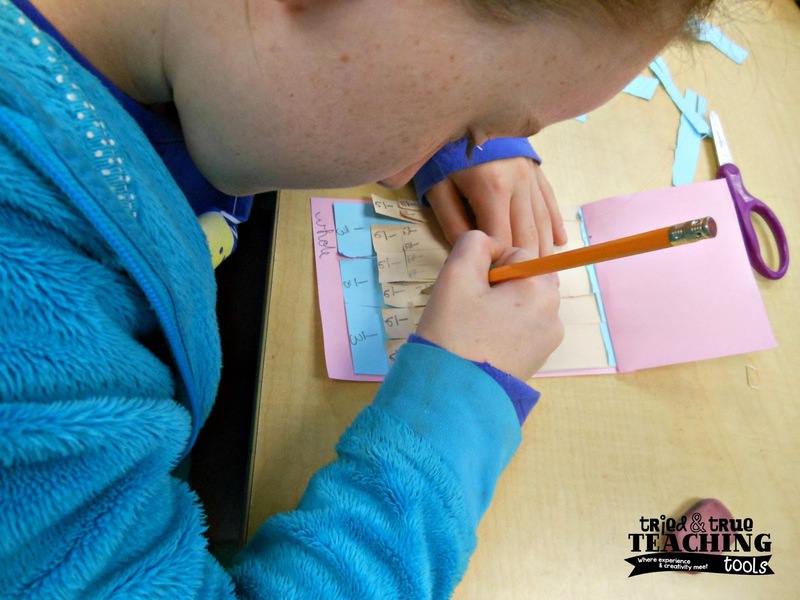 Fractions is a huge part of the fourth grade math curriculum. For some reason, this concept is always very difficult for my students to grasp. 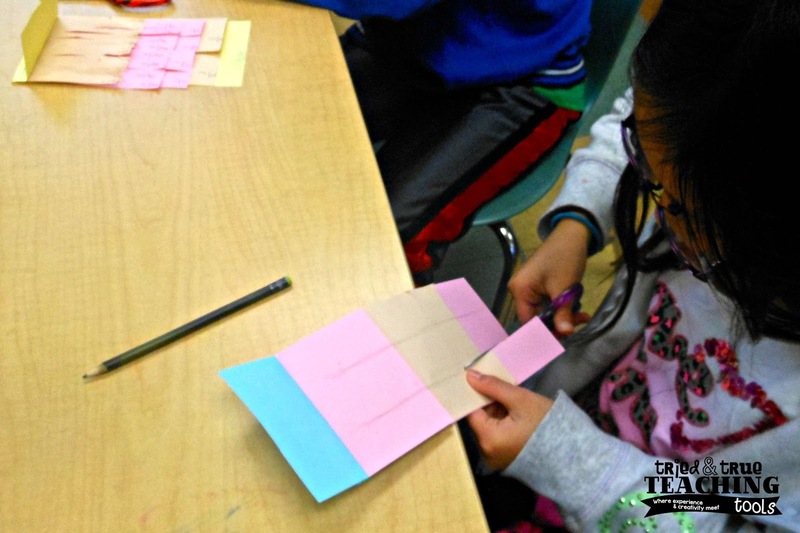 To make the concepts of equivalent fractions more concrete, we started off with Fraction Fringe. Step 3: Take one step booklet (set the other aside). Label the BOTTOM step: 1 whole. With the second booklet, cut into thirds, sixths, and twelfths. There will be an extra "step", which I usually have the students just cut off. One of my students was DETERMINED to cut his twelfths in half. He VERY CAREFULLY cut each one and successfully made 24 twenty-fourths!! Now the fun begins! Call out various equivalent fractions: "How many sixths is equivalent to 1/3?" (Student use their Fraction Fringe to hold up and compare.) They can physically touch and see why certain fractions are equivalent, even though they have different denominators. Fraction Fringe is also terrific for adding fraction: "What is 2/4 + 1/8?" Again, students can pick up the fringes to see the total. How do you introduce equivalent fractions? I'd love to hear from you! Click on the button below to learn about more successful lessons! LOVE it! 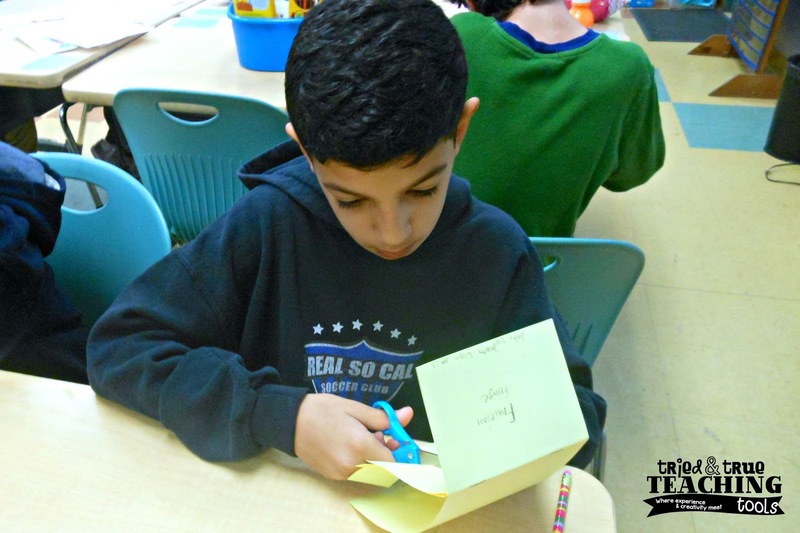 I love how the STUDENTS created these...talk about a better way to build understanding rather than just GIVING them already created flip books. Thanks so much for linking up! Thanks, Meg!! My kids use them as reference a lot!! I love this monthly linky; thanks for hosting! Love this idea! Thanks for sharing this! 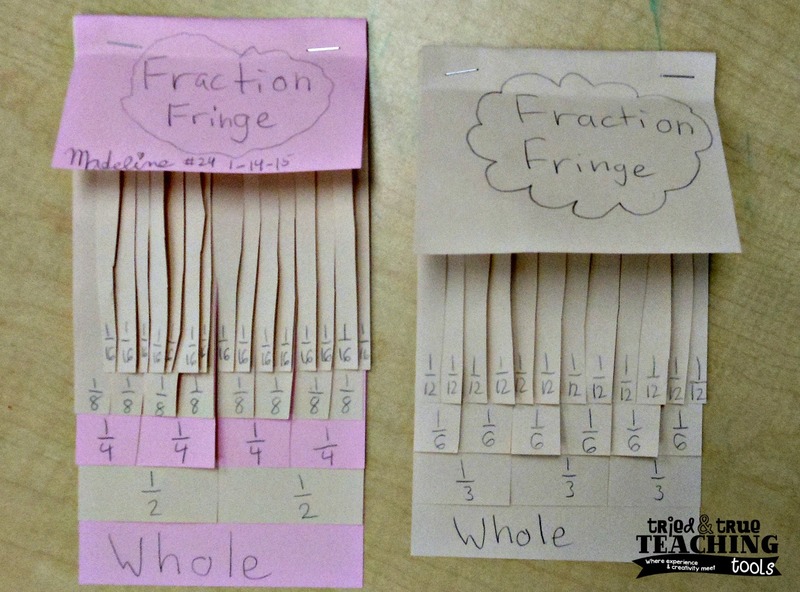 In the past, I have had my students make fraction kits by cutting apart different colored strips of construction paper to create fractions. These sometimes get lost, so I'm going to try your idea instead. I like that it is one resource all together. 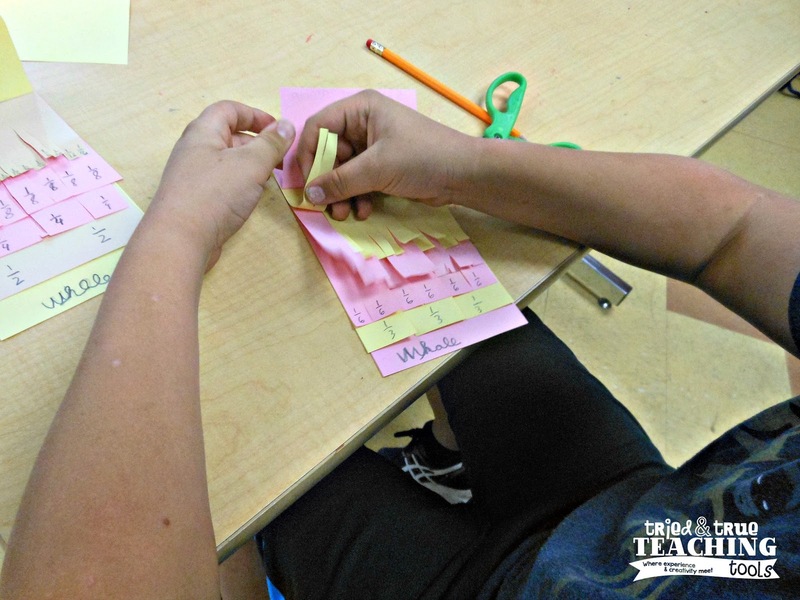 I also have students use sentence strips to fold and create number lines. They can see the equivalent fractions on the number line as we continue to fold and label each new fractional pieces that are created. I love the idea of using number lines as you fold & label!! I'll have to remember this, too! Thanks for stopping by!